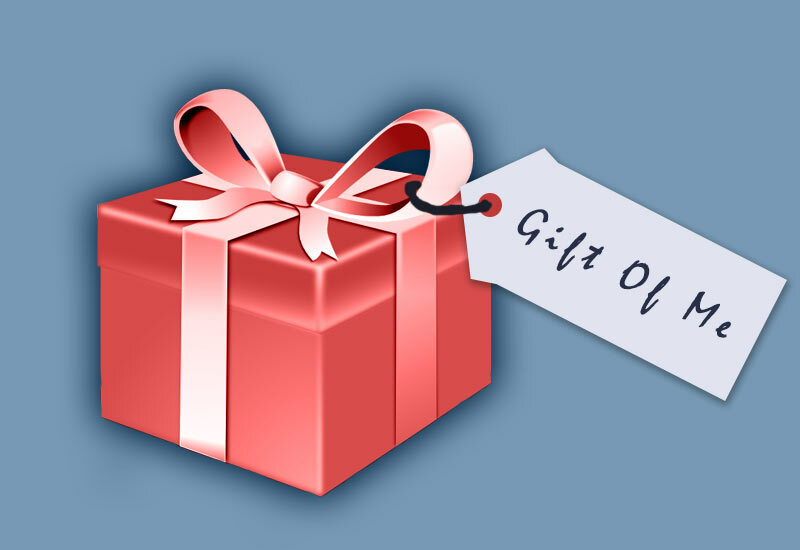 Share the post "The Gifts of Self"
Everyone is scurrying about these days shopping for gifts as we draw closer to Christmas Day. Every year it seems the same with the hectic crowds and heavier traffic on the highways. It was refreshing to have the opportunity today to drive to Forest City and back via the stair-stepping blacktops. The passenger was a customer of mine who is not familiar with Iowa since he is from another State. I did much of the talking as I was pointing out interesting places to visit such as Pilot Knob, and Elk Creek Wildlife Sanctuary as well as other natural attractions in the district. He was somewhat surprised by the hills to be found around the Forest City area. He spoke of the name Cerro Gordo County and asked where the fat hill was. I told him there was likely no fat hill named after our county. He smiled and said, “So they lied about the name? I’m glad you enlightened me as my wife and I talked about taking a drive some Sunday in search of it.” I later told him our county was named after a battle that took place during the Mexican/American War. The scenery was hauntingly beautiful with the light fog gathering in the lowlands of the hills we passed. I noticed someone cutting down an ancient oak tree that was likely standing in the way of creating a more “clean sweep” through that field with the monster tractors and machinery the farmers now use. I’m always a bit saddened when seeing people cut down healthy native trees. We really must try to preserve the native trees and shrubs in North Iowa, as well as work at keeping the invasive imports to the area from taking over. We will soon see the tree- lined streets of our towns and cities becoming bare due to the arrival of the Emerald Ash Borer. Too many of the same species is not good when there arrives an insect or disease that wipes out thousands of trees. I remember too well in years past how popular the Ash Tree was when arborist were recommending it as their favorite shade tree. Upon our arrival back to Mason City and encountering the heavy traffic, I mentioned to my customer something I had just remembered. There is a family or two that I know who absolutely refuse to give purchased gifts to each other for Christmas. They make cookies and candies, create home canned fruits, make items out of wood or cloth, and even go so far as to create their own Christmas greeting cards. I’m sure it sounds like work but certainly the end results are admirable. Another thing these families do which I consider quite unique, is to prepare Christmas gift cards that have written on them that reads something like this, “As my heart-felt gift to you, I now present you with 12 hours of my time to perform any tasks of which you are in need and most certainly capable.” There is usually a time limit given to redeem these gift cards. I think it’s a fabulous way to not only give of one’s self to another, but to afford the opportunity to spend time with a loved one. Wouldn’t that be a better gift than receiving a sweater or necktie that would likely be returned or tucked away in the bottom drawer and never to be seen or worn again? Freely giving something that took extra time to create, or offering time in the spirit of love and affection, are classic examples of the the loving time it takes to freely offer the gifts of self. How could the experience of Christmas be any better?